MXSERVER, from Tygart Technology, is a server-based system that uses face recognition in the cloud to process vast amounts of video and photo collections quickly transforming files extracted from captured computers, cell phones, SIM cards and video surveillance systems into searchable resources. MXSERVER is enabling forensic examiners, investigators and security personnel to more efficiently and effectively analyse video and photo collections to discover, document, and disseminate information of intelligence/investigative value. The system enables real-time collaboration among users by leveraging next-generation Web 2.0 and Cloud Computing technologies – which are revolutionizing collaboration, knowledge sharing and system scalability in the public sector. Identify a person of interest using face recognition. 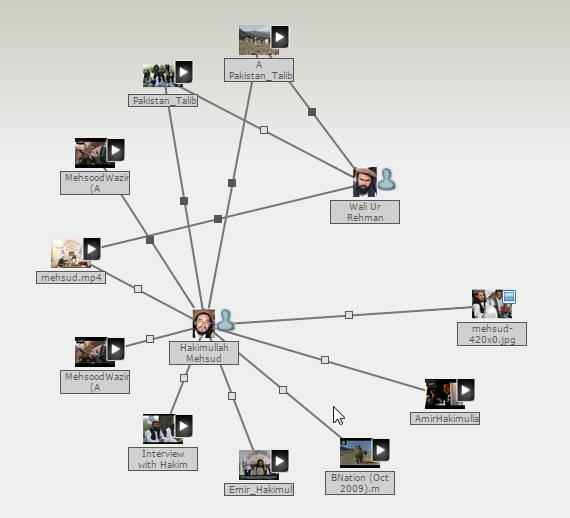 their activities and their networks. Automatically monitor video surveillance footage and other video for instances of persons of interest. Automatically receive notifications when new information of interest is discovered/entered. Work more efficiently. Connect the dots. Get more results. Exploit the masses of raw media from multiple sources to create actionable intelligence with less manpower. MXSERVER automatically detects faces depicted in videos and photographs and extracts/crops each depicted face (creating an image called a “face sample”) that meets the configurable “face size” and “face quality” thresholds. Thumbnail images of face samples are also generated and stored to support the display of a “Faces view” of the content of a video. This service utilizes several utilities to validate whether a video or photograph is a valid video/image file and is properly formatted. If the file is valid, a thumbnail is created for display on the GUI. The pre-processing service drastically speeds the processing of the tens of thousands of file segments that are generated by hard drive forensic analysis utilities such as image carving and file recovery tools. This task divides a video file into multiple segments for parallel processing. Only video files longer than 4 minutes in duration and greater than 20MB in size will be chunked. Not all video file formats/codecs can be chunked. However, video file formats that cannot be chunked are still processed – but are not divided for parallel processing. MXSERVER generates a mathematical representation of a face, called a “face template”, for those extracted face samples that meet a second set of configurable “face size” and “face quality” thresholds. Thus, MXSERVER can be configured to only create face templates for face samples of adequate size and quality for automated facial recognition to perform adequately. MXSERVER automatically searches the watch list of individuals of interest using those face samples (meeting the template quality thresholds) extracted from videos and photographs. Face samples that score above a configurable match score threshold are auto-tagged with the name of the purported matching individual. MXSERVER is capable of performing additional video processing services such as video transcoding, frame extraction and scene-change detection/storyboarding. After videos and photographs are ingested and processed, MXSERVER provides a powerful search tool enabling users to search the repository of indexed videos and photographs (and the watch list of individuals of interest) using automated facial recognition. MXSERVER’s search service can be configured to run on a “Biometric Search Cloud” which can be incrementally scaled to meet an organization’s search speed and gallery size requirements. Reduced Labour Costs: Analysing video and photo collections is extremely labour and time intensive – people have to view the content! MXSERVER drastically cuts the time and number of analysts needed to perform this task. Enabling Technology: Automated face finding and matching enables analysts to more effectively utilize video and photographs to “connect-the-dots”. MXSERVER can search millions of face images in minutes. Enterprise Scale System: MXSERVER has been operationally proven to handle the processing workload of large-scale intelligence enterprises.